Brewers n Packers: Prince Fielder Signs with who? Prince Fielder Signs with who? The Prince Fielder Saga is still dragging on. Money seems to be the big reason; I say Money meaning revenue from sports networks in big metro areas. The teams mentioned in a Fielder bidding war are all in big TV markets, Teams negotiating new TV market contracts, are waiting to see how much money, and long there contracts’ will run. Here lies the problems’ facing the small market teams. The revenue sharing has helped small market teams stay afloat, but not able to keep free agents from bolting for the big markets. The Texas Rangers Signed Japanese Ace Yu Darvish to a six year $60 Million deal, plus the $51.7 Million posting fee, you would think Prince Fielders chances, do not look good to sign with the Rangers. A TV deal worth $3Billion starting in 2014 and the Rangers already receiving $100 Million up front, leaves's the Rangers with deep pockets of cash. So are they still interested? The Washington Nationals are also believed to be in the running for Fielder, as our The Chicago Cubs, both teams have the cash and need a Power hitter.The Florida Marlins would be a nice fit for Prince Fielder also, his home is in Orlando Florida, also rumored interested are the Seattle Mariners. Poker is a funny game, seems like the players are weed laying, nearing the end, who will go all in? Brewers Ryan Braun is going to accept the NL MVP award in New York Saturday, and expected to give a speech afterwards, his speech will be his first in public, since his positive drug test, was leaked out last year. I have read some articles recently calling for Braun to turn down the Award, and for him to come clean, if he did use PED's. Time will tell, and the truth will come out, we Brewers fans hope everything works out for Ryan Braun, and the Milwaukee Brewers organization. I remember the good ole days when a player stayed with his team, ie. Robin Yount, Bart Starr you know when loyalty went both ways. With that said I think the Nationals need to sign him, to bring a winner into Washington. But the Brewers need pitching bad. what do think would have happened if we had reliable pitching last season. 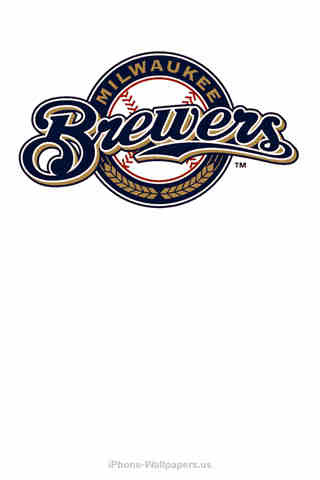 Go Brewers!! Yes,the good old days, what happened to them days? a money thing! how much do you need, you would think the fans would mean something. Ryan Braun signed a long term contract to stay in Milwaukee, I'm sure he could get more in a big market. I hope he stays to finish it out. Playing in Milwaukee, you know the game will be played no matter the weather, what player wouldn't like that?